Scott D. Allen | The Allen Firm, PC. Scott D. Allen is the Senior Attorney of The Allen Firm and is a member of the Business Team at the Firm. Scott is a native Texan and has practiced law in Stephenville, Texas for over 40 years. Scott is the founder of The Allen Firm, PC and focuses on business and agricultural matters, general corporate matters, banking and finance transactions, litigation, complex contracts, issues involving oil and gas interests, real estate matters, employment matters, issues involving federal and state regulatory agencies as well as probate and estate planning. 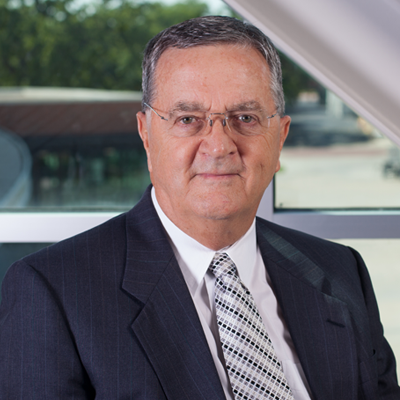 Scott attended Texas Tech University and earned his bachelor’s degree in 1966, and he earned his doctorate of jurisprudence from The University of Texas School of Law in 1970. Prior to founding The Allen Firm, he practiced law with a firm in McKinney. A native Texan, Scott has been active in community civic activities for many years and has focused his law practice in assisting financial institutions, businesses, agricultural clients, and many others in their litigation and business matters.